Robots, I’ll be the first to admit, can be pretty terrifying. As shown in countless films and the like, one ordinary-day robot can turn into a killer machine. But perhaps more intimidating, as in SEGA’s Binary Domain, is the possibility of these machines being about as close to a human without actually being one, with both flesh and emotions. The developers behind Yakuza have created a vision of what a scenario like this may entail, and though it’s mostly standard-fare shooting, it has some unique traits which manage to elevate it beyond the generic. Just about. Set in 2080, where Global Warming has made most of the world uninhabitable, you play as Dan, one of the two American meatheads in a Rust Squad. His fellow squad mates include a French robot, two British buggers and a Chinese love interest. Their task is to investigate the possibility of one of the large robot corporations, Amada, creating new robots known as Hollow Children, who can easily pass as a human. You grow attached to the characters, thanks to a semi-large amount of charm, some witty dialogue and decent voice-acting, and the game has several twists that will most likely shock you. 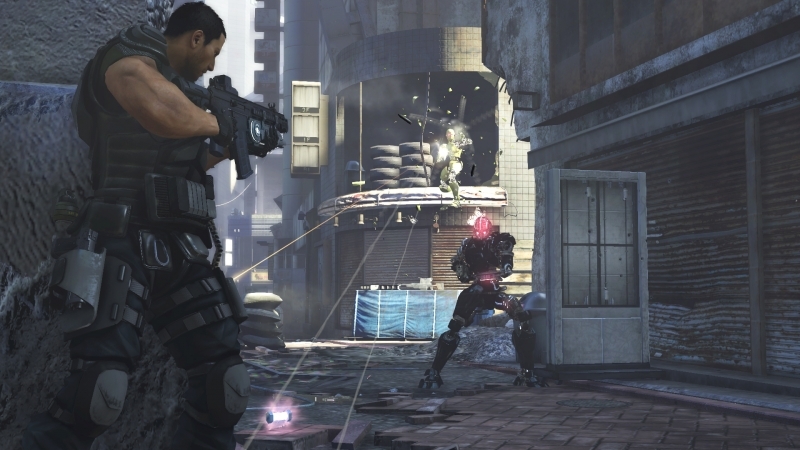 Binary Domain is a third-person shooter, and in terms of its core mechanics, it sticks to the tried-and-true. You manoeuvre Dan through repeated combat encounters, with the main objective being kill anything in your way. The game is split into 6 acts, with a few chapters in each. 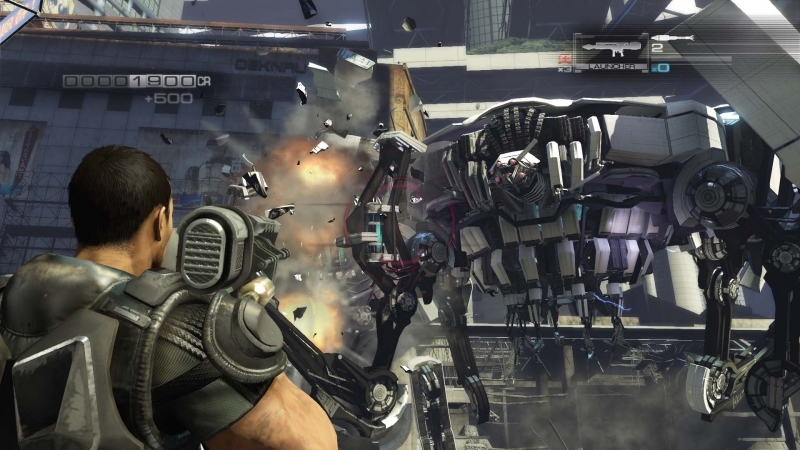 The game uses the Gears-style cover system so prevalent in modern-shooters, where pressing the A button causes Dan to stick to anything of decent size. 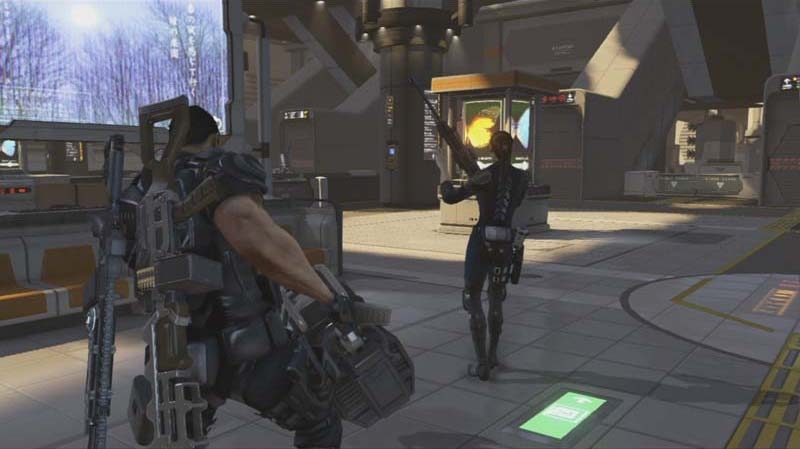 Even most of the controls are identical to the games it apes, with weapons mapped to the D-pad as you carry standard pistols, assault rifles and the like. Confusion, however, can be caused when it tries to stray from the norm, such as swapping melee attacks to the X button. Other than that, you can’t help but feel that BD is far too close for comfort. There are some touches, however, which make it stand out amongst most generic shooters. BD is much more squad-based rather than kill-or-be-killed. You can issue commands to your squad members such as regroup, charge and retreat. However, most combat situations don’t require too much strategy, meaning these mechanics are mostly superficial. One interesting feature is the ability to use your Xbox Live Headset as a microphone to issue commands to your squad. However, this is mostly gimmicky, and half the time the game doesn’t respond too well to your inputs, especially on the wordier commands. You can try calibrating this system and testing it, but considering squad mechanics aren’t all that important to success, its more hassle than it’s worth. Squad commands also relate to the Trust system, which is a key feature of BD. At the beginning, your squad mates probably wouldn’t trust you to open a door for them, but you can gain trust by nailing headshots, executing attack ideas given by squadmates, efficiently dealing with combat scenarios and reviving downed comrades, as well as being a pleasant person during dialogue options. The more trust you gain, the more likely your squad will obey commands and help you out. However, you can also lose trust. If you cause friendly fire, deal with combat situations poorly or say something stupid during dialogue options, the trust in you decreases. If your squad mates lack trust, then they will be far less helpful – and mostly likely hinder your progress. It’s an interesting system, especially seeing as trust, or lack of it, can have ripple effects on certain events, including the game’s ending. Perhaps the biggest strength, however, is the enemy you face. Frankly, they just disintegrate beautifully. Shooting the armour off these robots causes them to fly into multiple shards all over the place in a glorious fashion, and can also serve as a tactical advantage. Shooting the legs off a robot, for example, causes them to fall to the floor and become more vulnerable, though on the downside they can crawl towards you and play martyrdom if you don’t deal with them quickly. On top of that, nailing a headshot on a robot causes them to turn on others around, which creates not only a tactical advantage as the robot blasts bullets into nearby enemies, but also laughs – especially when two headless robots run around like headless chickens and kill each other. It definitely helps BD stand out. Some other features try to raise the game above the standard, but it mostly ends up causing animosity. The game includes vehicle sections, mostly in the form of tiring shooting-galleries as you ride towards your next destination, though there are a couple of vehicles you can drive yourself. There’s a couple of breather levels where you can chat with squad mates but these somewhat kill the pace. Perhaps the most annoying aspect of BD is the boss fights – or rather how many of them there are. Some are cool, such as one fight where dismantling the robot’s arms in a certain order causes it to transform into something else entirely. But, the game has far too many boss fights, and it wouldn’t be so bad if most didn’t boil down to simply finding the bright weak spot and shooting it. It can become very tiring fast. One level even contains two full-scale boss fights, which just borders on monotonous. At least BD has a strong sense of production. Graphically, the game looks very good, with detailed character models – especially the robots and the particle effects of destruction as you shoot them – and the animation is mostly solid, though some dodgy lip-synching rears its ugly head. Levels, however, mostly resort to dull whites and bland variations of other colours, and the frame-rate can get somewhat choppy during extremely tense situations. The audio is pretty solid too. The voice acting, surprising for a Japanese developed game, is good with spot-on accents, bar maybe one or two, and snappy dialogue which creates a feeling of a summer movie. The music is pretty non-existent, but the satisfying crunches of the robots will please the ears. Sadly, the game is pretty sketchy when it comes to replay value. The game’s campaign isn’t too long, clocking in at around 7 hours. There is an unlockable difficulty as well as collectibles and alternate endings, but if those aren’t your sort of thing then there’s probably no reason to bite. The multiplayer also fails to add any kind of incentive. The game, again, borrows Gears of War’s Horde mode, and unlike more successful variations of this template, fails to add anything new. The levels are also bland, and the soldiers become tiresome before you complete Wave 50. The competitive side doesn’t fare much better with basic modes, although variants may add spice such as banning respawns for that game, poor maps which make spawn-camping seem the most effective tactic and terrible lag which hampers the mode entirely. 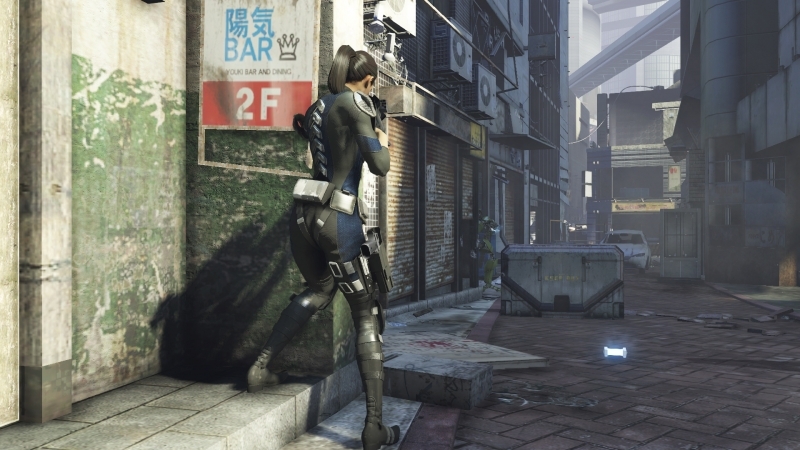 Binary Domain mostly apes the conventional shooter of the past few years, and it’s attempts at adding spice to this are hit-or-miss at best, and downright pointless at worst. The Trust system, combined with Robot smashing, definitely make it stand out a little more, but a swarm of boss fights, thin squad mechanics and other rough attempts at breaking the mould hinder the value from that. And its brief campaign means that you may feel short-changed, especially with bland multiplayer modes adding little. 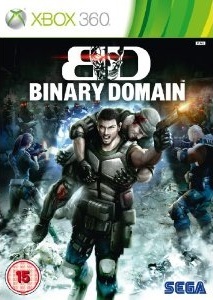 While certainly not offensive, and with some genuinely cool, unique aspects, Binary Domain fails to elevate itself above average, and is only going to be of interest to those desperate for a new shooter.